In 2005 Adam co-founded one of the first crowdfunding platforms in the world which went on to raise in excess of $100M dollars for start-ups and early stage businesses. He currently owns a cloud software business, an Amazon review company (based in Florida), a homewares company that sells its products exclusively through Amazon into 8 countries, and Reliable Education. FreshBooks is offering a month of unrestricted use to all of our listeners ­ totally free right now.... and you don’t need a credit card for the trial. Aside from his core businesses, Adam is an active investor and currently holds early stage equity in several startups including shyp.com, tradesy.com and humanlongevity.com Adam launched Reliable Education after seeing a gap in the market for hype-free, business-focused education. In his view, too many Amazon courses are full of hype and half-truths – both of which sell-short the real value of building an Amazon business for the long term. How is your online training program different from most other Amazon courses out there? 1.Why did you decide to start Reliable Education? 2.Won't you be creating competition for yourself? 3.What does your typical day consists of? 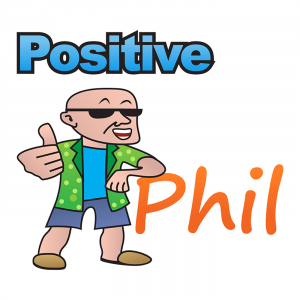 Positive Phil has interviewed some of the most accomplished people on the planet and they all live life with ambition and passion..